Have you ever heard of the saying, “You don’t quit your job; you quit your boss”? It’s certainly true. Bad management can cause employees to feel under-appreciated, frustrated and stressed out, leaving them uninterested in their work and looking for a way out. When you hear “bad management” you may think of the screaming supervisor, absent-minded team leader or manager who plays favorites. However, bad management does not always have noticeable signs. Clearly, bad management will affect the employees involved, but what about the lasting effects on the employer? Bad management can reduce productivity, waste time and cost your organization a lot of money. It can also lead to lawsuits and create a negative reputation for the company. So, we understand the importance of getting rid of bad management. What can we do? Bad management can be prevented, recognized and, often, resolved. 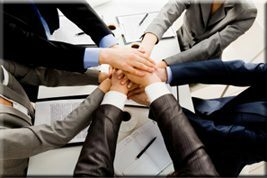 Each party involved can have an effect on a positive outcome; that includes the organization, the employee and the manager. 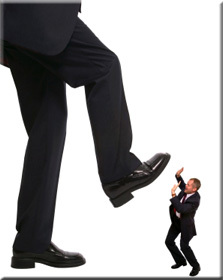 This week’s post will focus on what you can do as an organization to prevent and resolve bad management issues. Keep a look out for the next post which will provide guidance to both employees and managers in bad management situations. Structured new hire training sets the stage for an organized, well-managed company. Consistent new hire training gives your employees an opportunity to get to know your company policies, mission, vision and overall goals. What’s more, you can clearly define employees’ and managers’ jobs and responsibilities. Many times, bad management can be caused by not fully understanding the job responsibilities. New hire training can prevent future issues. In addition to new hire training programs, you can conduct annual or semi-annual training sessions for your employees. Many of our clients, for example, conduct several training sessions throughout the year surrounding topics like teambuilding, effective communication and time management. Being proactive with your training can stop bad management before it starts. Topics like the few mentioned above help your managers (and employees) understand how to appreciate each others’ differences and work together in the workplace. Structured training programs will not only prevent bad management but can also help resolve outstanding issues. Employees will be able to loosen up a bit, and the training will give your staff the opportunity to get to know their co-workers (and themselves!) better. While a majority of employees may not disclose any issues they may be having with their manager, there may be some employees who decide to reach out for help. That is when you can actively help the employee and supervisor resolve problems without hurting anyone’s feelings. Once a training program is in place, it may be easy to come back with one-on-one conflict resolution based on training sessions from the past. “Remember when we discussed effectively communicating by understanding each other’s DiSC styles…?” Conducting a training program as a group and following up with one-on-one sessions can really help an employee and manager better understand the message you are trying to deliver. You may also request that the two staff members take some soft skill courses. They are inexpensive and typically short in completion time. The most important thing here is to actively address the issue based on the appropriate protocol. A previous employer of mine requested all employees complete an anonymous survey that covered overall satisfaction with pay, benefits and even their relationship with their supervisor. My co-workers felt like their opinions were appreciated, and felt as if they could be honest, since the survey was anonymous. In addition to making the employees feel appreciated, this will give you an honest look at what your staff needs – new facilities, better healthcare options or diversity training. You can also anonymously survey employees by implementing 360 reports. A brand new product out now is Everything DiSC 363 for Leaders. Peers, direct reports and supervisors can anonymously assess an employee’s skills constructively. Many organizations use these reports to assess their manager’s leadership skills and provide a personal development plan for him or her. Use this for all managers as a proactive attempt to prevent bad management, or use it to combat a specific issue. Again, if your organization can be proactive, understand the employees and make an effort to create unity among your team, it will result in a happier, less confrontational staff. Thus, more productivity and less turn over. Exit interviews can be a great way to gain feedback from an employee who has decided to leave the company. The employee will be less afraid of expressing their feelings, since their job is no longer in jeopardy. This can be done using a written form or actually discussing the employees’ experience with the company in a meeting. Involve only one or two people in the meeting to get the most out of this option. Think you may be dealing with a bad management situation? Check out my next post when I focus on how the employee and manager in question can take necessary steps to prevent bad management from interfering with their career. #1 | Written by Denise about 8 years ago. Sounds like a helpful course!!!!!!!!!!!! #2 | Written by Jonelle about 8 years ago. #3 | Written by Sanga, JK about 8 years ago. Management skills, in fact, is a problem to most institutions in the world, though in African countries sounds much. The reasons can be diverse but mostly, lack of managerial knowledge (the abc…. of management). Delay resolving the disputes on very early stages can lead to unnecessary misunderstandings. The steps cannot be effective if at all there is delay on detecting the morning signs of the dispute to take the right, proper, effective and well appreciated step which will benefit all parties involved. At the end none should be crying. So, the staff will benefit most people to update their Managerial skills. Keep it up. #1 | Pinged by Who’s afraid of the big, bad boss? Part II – Training Resources Blog by Corexcel about 8 years ago.